The Enforcement Directorate on Tuesday approached the Supreme Court against the Delhi High Court order that granted relief to Karti Chidambaram, who was arrested by the Central Bureau of Investigation (CBI) in the INX Media corruption case, in the money laundering case registered against him. 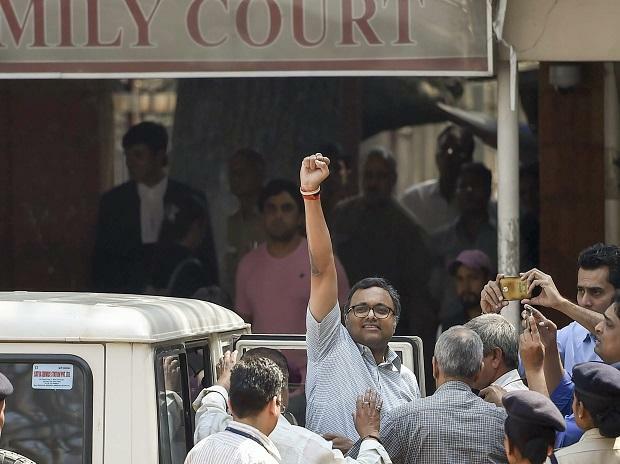 The Delhi High Court on March 10 had restrained the central probe agency from arresting Karti Chidambaram till March 20. Meanwhile, Delhi High Court Justice Indermeet Kaur recused from hearing Karti Chidambaram’s bail plea. The matter has now been referred to another Bench. Karti Chidambaram, businessman and son of senior Congress leader P Chidambaram, has moved the Delhi High Court seeking bail in connection with the INX media case. The high court will hear his petition on March 13. Currently, Karti has been sent to judicial custody till March 25 in the INX Media Foreign Investment Promotion Board (FIPB) clearance case. On Monday it was reported that the court refused Karti’s plea for a separate cell in the jail in view of threat perception, as during his father’s tenure as Union Home Minister, several terrorists were kept in Tihar jail. The court said that while the social status of the Chidambaram family could not be ignored, Karti could not be treated differently from the other accused persons. “However, only keeping in view the fact of social status of accused and his father, he cannot be treated differently from other accused persons and cannot be allowed to be kept in separate prison. However, lock up in-charge and jail superintendent are directed to provide and ensure proper security and safety to accused during judicial custody, as per rules,” the court said. Karti was arrested by the CBI on his return from the United Kingdom in connection with an FIR lodged on May 15 last year. The probe agency alleged irregularities in a Foreign Investment Promotion Board (FIPB) clearance given to a media house, INX Media, for receiving funds of about Rs 3.05 billion (Rs 305 crore) from overseas in 2007 when his father was the Union finance minister. Initially, the CBI had alleged that Karti Chidambaram received Rs 1 million (Rs 10 lakh) as a bribe for facilitating the FIPB clearance to INX Media. It, however, later revised the figure to $1 million (about Rs 6.50 crore at the current exchange rate and Rs 4.50 crore in 2007). The fresh evidence in the case, which triggered Karti’s arrest, was based on a statement by Indrani Mukerjea, former director of INX Media (P) Ltd, who recorded it under Section 164 of the CrPC before a magistrate on February 17. 1) ED moves SC against HC order giving relief to Karti: The Supreme Court will hear the ED’s plea against the Delhi High Court order on Karti Chidambaram in the money laundering case arising out of the INX Media matter on March 15. On Tuesday, the Enforcement Directorate approached the apex court against the Delhi High Court order, which had granted relief to Karti Chidambaram.